Cute as can be Light filled Town house in popular Aldea de Santa Fe. 3 beds, 3 baths, 1 car garage. The house has been freshly painted. 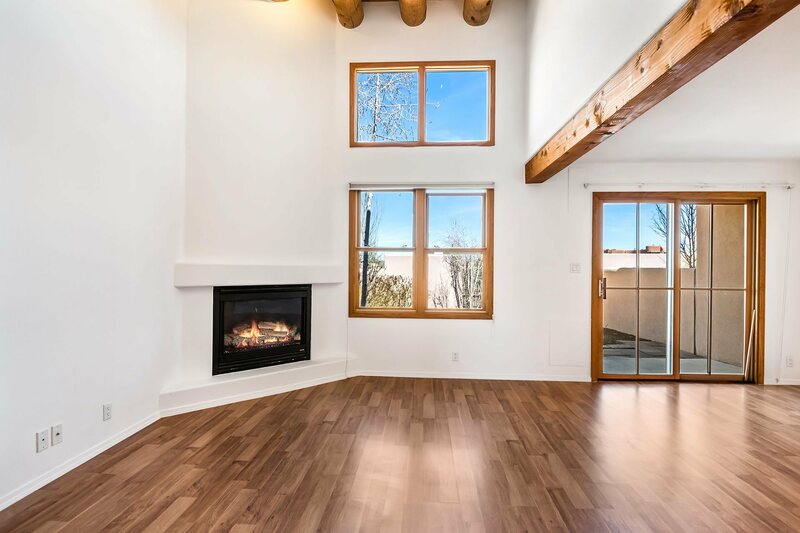 The living room features high ceilings, natural wood accents and a gas burning fireplace. There are new wood looking floors that have been installed in living room and bedrooms. There is new wood on the stairs. Come enjoy the western views from the upstairs guest bedroom. Enjoy the mature landscaping in the private garden that is completely fenced and has drip irrigation. This town house is in one of the best locations in Aldea. They are located directly across from a park. Creating privacy and a buffer zone. This town house is move in ready.